As a struggling actress in a dinner theatre, Betsy Duke needed a second job. She got a part-time waitressing job but the dry cleaner where she applied didn’t hire her, so she settled for a part-time job as a teller at a local bank. And the rest of her life began. She became so enamored with banking that she supplemented her bachelor’s degree in drama with an MBA at Old Dominion University and kept moving up the ladder. I believe the work women learn in their homes makes them good candidates for management positions. They learn to multi-task to the max and are able to handle the complexity and pressure of managing others. Likewise, they learn to clean up messes and Betsy Duke has helped clean up plenty of them. When Betsy Duke’s business partner died suddenly, she took over management of the Bank of Tidewater. It was 1991 and almost a third of the savings and loans in the United States failed. Duke acquired failing branches and grew her bank’s position. In 2008 Duke joined the Federal Reserve board. She warned that lenders didn’t have enough capital on hand, but Lehmann Brothers fell before adequate action had been taken. She was left to assist the Federal Reserve in righting the financial ship. Now she has taken the helm of Wells Fargo Bank, the world’s second-largest bank in market capitalization and the third-largest in assets in the U.S. The problem is that Wells Fargo was caught in a public scandal several years ago, opening accounts for “customers” who had not requested them–another mess Duke must attempt to clean up. Being a woman at the top is never a cakewalk but Duke has additional burdens. First of all, she does not automatically have the support of some other powerful women. Both Senator Elizabeth Warren of Massachusetts and Representative Maxine Waters of California have criticized the choice of Duke to run Wells Fargo. They argue that Duke had been on the Board of Wells Fargo and that leadership should have come from outside the institution. Since Duke was only on the board a short time, and came on the board after the scandal, this argument does seem to be a bit overblown. If the past is an example, Duke will not let this criticism deter her. She will do the job she was hired to do and she will do another job as well. Within the last week, the Seattle Times included two articles about First Women in business. They highlight for me the importance of celebrating women’s achievements while placing their accomplishments in perspective. Laurie Stewart was the First Woman to lead a local financial institution here in the Seattle area. She is currently President of Sound Financial Bancorp, and has been for 28 years. She was actually the second choice of the bank’s board, but the man who was first choice turned down the offer. Stewart believes moving up the ladder should be a “simple progression,” with women rising naturally to the upper levels. But it is not. “It’s still a tough, tough glass ceiling,” she said. Irene Rosenfeld is another First Woman who garnered attention in the newspaper last week. She is CEO of Mondelez International, a multinational company with an annual revenue of around $30 billion. With sites in 165 countries, Rosenfeld is responsible for 107,000 employees. Mondelez’ products include chocolate, biscuits, gum, confections, and powdered beverages. Although the company name is not a household word, many of its products are. Some of the most popular are: Oreo, Chips Ahoy!, Triscuit, Toblerone, Sour Patch Kids, Cadbury, Chiclets, Halls, and Tang. I wonder if Rosenfeld gives out free samples. So, I celebrate these women, and other CEOs, but am sobered by the realization that only 6% of CEOs at S&P 500 companies last year were women. There are probably many reasons. One is the lack of diversity on public company boards. Of the people who hire CEOs, only one in five is a woman. Also, women tend to be hired in human resources and marketing in public companies and most CEOs often have financial and operating officer positions. There is still much work to be accomplished in the business arena, but there has been progress. In 1995, just 22 years ago, there was not a single female CEO among the Fortune 500 companies. Unfortunately, progress for women in business still moves at a sluggish pace. THE BAD NEWS: The number of women CEO’s has stalled. They hold only 14.6% of executive posts overall and 4.9% of CEO positions in the 1,000 largest companies. Consequently, they are only 5.5% of the top 200 earners. Want to read more? Check out the New York Times article. Her career began as a co-op student when she was 18, with General Motors, the same company that employed her father for 39 years as a die maker. 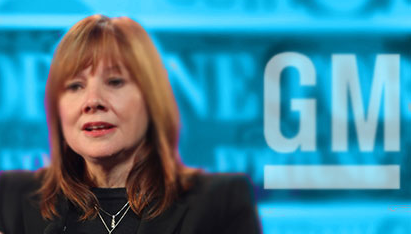 Given the chance to attend the General Motors Institute (now re-named Kettering University), Mary Barra pursued and earned a degree in electrical engineering. 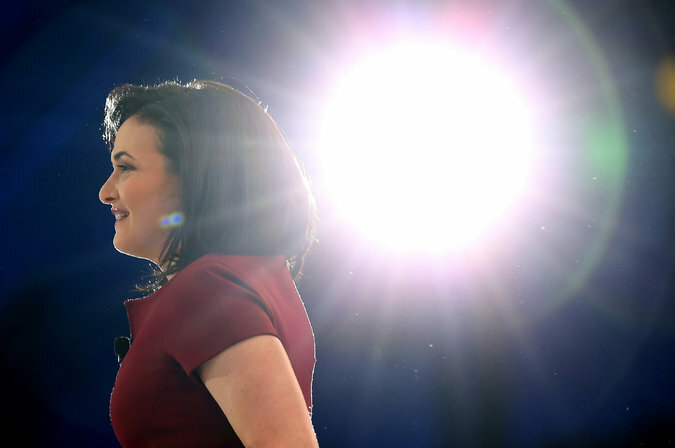 General Motors later assisted her when she earned an MBA from Stanford University. As head of the world’s second-largest automaker (after Toyota), Mary Barra brings a different style of leadership to the company. She relies on team-building and consensus, but can also make the tough decisions. One colleague said, “She’s an outstanding listener. . but when it’s not coming together, she gets concise and she’s pretty decisive.” Although one of her goals is to have 500,000 General Motors vehicles with at least some electrification by 2017, her favorite cars are the Chevrolet Camaro and the Pontiac Firebird. Which other women do you know who achieved something through perseverance and loyalty?